With Black Friday right around the corner, Google has now updated its search UI to help shoppers and deal hunters shop better and check out faster. This new and updated Google Search UI has now become more intuitive and has been designed keeping in mind the needs of shoppers. With this update to Google Search, Google will now show buying guides more prominently during this weekend. A new quick view feature has been introduced which allows the users to view the product description, features, reviews as well as related items in a better manner. This update allows the users to collect information faster, without having to browse for each one of them individually. Google Search has got smarter – a lot of the Black Friday deals involve tech products and Google does not want you to buy older devices. If there’s a new model of a product available, Google will show you a notification along with the text ‘Newer Model Available’. Google is also emphasizing on showing users broad product guides – if you’re looking for a Samsung Refrigerator, Google will also prompt you to check out refrigerator buying guides so that you know what to check for in a fridge’s features! 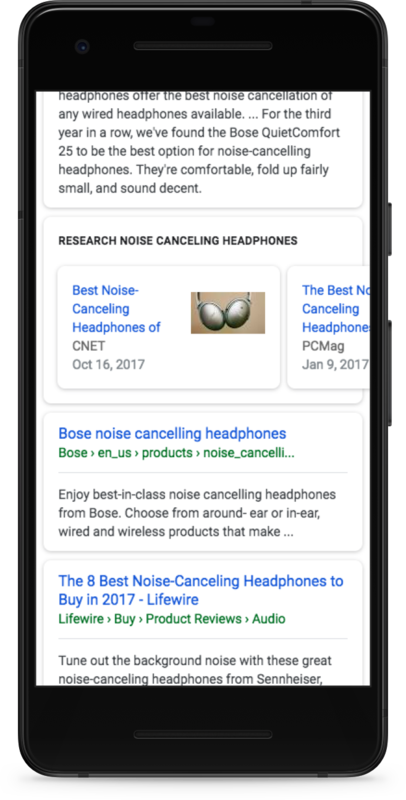 In addition to improving the way Google Search functions, Google is also working on improving the way the Google Assistant can help you shop. You can also ask the assistant to directly buy some products for you such as, OK Google, buy a Google Home. Google will ask you to confirm the purchase and verify your identity – and have the product delivered to you! How To Set Criteria Or Limit The Google Search To Past date Or Year?